The Absolute Truth is a person, it is very difficult to understand. “Beyond our sense perception.” They, generally they think that “How a person can create such huge cosmic manifestation?” That is their bewilderment. They cannot accommodate, accommodate in the teeny, poor brain that the original Absolute Truth is a person. That is their problem. So their idea is that by personal worship, one has to reach again to the impersonal transcendence. But we don’t find from the sastra like that. Now, the most authentic sastra is Vedanta. Vedanta is accepted by all classes of men. Because without accepting Vedanta, nobody will be bona fide. Generally they think that the impersonalists are Vedantists. Generally they think, but that’s a wrong conception. They… All the Vaisnava — Ramanujacarya, Madhvacarya — they are also Vedantists. Caitanya Mahaprabhu is Vedantist. We are also Vedantist. It is not that Vedanta is the monopoly of the impersonalists. No. Now, the Vedanta, in the beginning it is, the first sutra is: athato brahma jijnasa. So to inquire about Brahman, the Absolute. Now, the next answer is janmady asya yatah [SB 1.1.1]. Brahman, the Absolute Truth, is that from whom everything emanates. Janmady asya yatah [SB 1.1.1]. Now, this janmady asya yatah is explained in the Srimad-Bhagavatam. Therefore Srimad-Bhagavatam is explained by Vyasadeva himself. Vyasadeva is explaining Vedanta-sutra in his book, Srimad-Bhagavatam. Bhasyam brahma-sutranam **. Sri Vyasadeva says, “This is the real comment, or bhasya, of Vedanta-sutra, Srimad-Bhagavatam.” Therefore Gaudiya Vaisnavas, Gosvamis, they did not write any comment on the Vedanta-sutra because they accept Srimad-Bhagavatam is the natural commentary on the Vedanta-sutra. So why they should write again? But still, when there was such question raised in Jaipur that the Gaudiya Vaisnava has no commentary on the Vedanta-sutra, at that time, Baladeva Vidyabhusana, he wrote Govinda-bhasya on Vedanta-sutra. But still, Vedanta-sutra does not mean to understand impersonalism. No. That’s not the fact. Therefore in the Srimad-Bhagavatam, in the very beginning, the Vedanta-sutra is discussed. Unfortunately, the professional Bhagavata reciters did… Neither they have got brain, nor do they explain the, from the very beginning, Srimad-Bhagavatam. In the Srimad-Bhagavatam, from the very beginning, Vedanta-sutra is explained: janmady asya yatah [SB 1.1.1]. In the Vedanta-sutra, the answer is: “The Absolute Truth is that from whom everything emanates.” So Srimad-Bhagavatam explains: janmady asya yatah anvayad itaratas carthesu abhijnah sva-rat [SB 1.1.1]. As soon as we speak that the original source of everything, janmady asya yatah, so what is the nature of that original source? Whether He’s a dead stone, or a living being? That is the next question. Everything that we experience is coming from the supreme source. Whether that supreme source is a living being or a dead stone? What will be the answer? From common sense? From common sense, suppose if we find out the original source of everything, what will be the nature of that original? The Bhagavata explains therefore: abhijnah sva-rat. He’s not dead stone. Abhijnah. He has got consciousness. He has got consciousness. What kind of consciousness? Anvayat itaratas ca arthesu abhijnah. He knows everything, directly and indirectly. Now suppose we are also conscious. So what is the nature of our consciousness? Our consciousness is that I know directly everything of my body, or of my self. But I do not know indirectly about yourself. 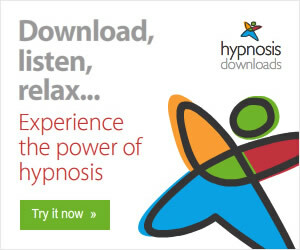 I cannot say what is going on in your mind, in your body, what pains and pleasure you are feeling. But I can speak about myself that “I am feeling like this. I am thinking like this. I am willing like this.” That I can say. So my consciousness is not perfect. It is perfect so far I am concerned. But I, my consciousness does not spread upon you. But here it is said, anvayat itaratah abhijnah arthesu abhijnah. “The Absolute Truth knows everything, directly and indirectly.” My knowledge is imperfect in this sense that I am eating something, it is being digested in the stomach. So many secretions are coming out. How they are forming into blood, and so many things are going on within the body, I am not directly concerned. Neither I know directly. But the Absolute Truth, the Supreme Being, He knows everything, in any corner of the cosmic manifestation. Therefore His consciousness and my consciousness is… As, so far possessing consciousness, the Absolute Truth and myself are one, but His consciousness is all-pervading. My consciousness is limited. So the Absolute Truth cannot be limited, but we are limited. Therefore here it is said, bhejire munayah athagre bhagavantam. So one who has not reached to that point, to realize Krishna, it is to be understood that his knowledge is still imperfect. But these persons who have got imperfect knowledge, they are passing as Vedantists and knows everything. They do not know. Krishna therefore says, bahunam janmanam ante: [Bg. 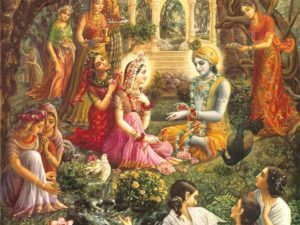 7.19] “These impersonalists, the so-called men of knowledge, after many, many births…” Because it is not so easy to understand Krishna, the Supreme Person. They’ll have to wait to understand Krishna, the Supreme Person. They’ll have to wait for thousands of births to understand Krishna. They’ll have to wait. Although they are very much proud of their knowledge, we know where they are: partial realization. Of course, they are also in the same field. But they’ll not understand the Supreme Person. Those who understood, the great sages in the beginning, in the beginning of the creation, munayah, great, great sages, Marici, Atreya, Vasishtha and others, so they worshiped the Supreme Person, bhagavantam, not the impersonal feature. Impersonal, actually, there is, there cannot be any worship of the impersonal feature, Brahman. It is simply accepting some trouble. Klesah adhikataras tesham avyaktasakta-cetasam. It is simply troublesome. But unfortunately, these impersonalists have spread all over the world. They have no sharp brain to understand the Supreme Person, and they are misguiding the whole population that either impersonalism or voidism. Nirvisesha-sunyavadi. But this Krishna consciousness movement is against this. We are giving directly the name and address and the activities, everything, of the Supreme Personality of Godhead. They are trying to find out the Absolute Truth. The Absolute Truth is the Supreme Person. Anvayat and abhijnah. 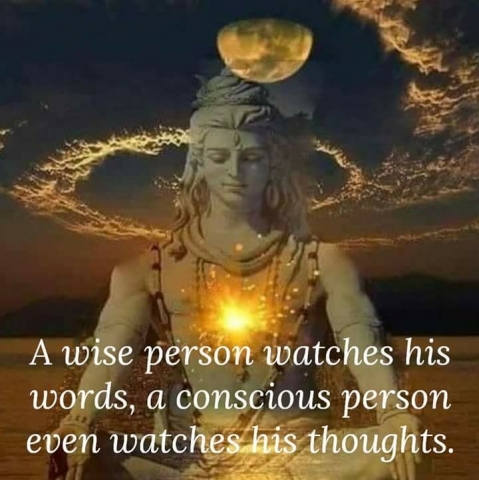 Abhijnah means conscious. And what kind of conscious? What kind of knowledge? Sva-rat. Our, my knowledge, your knowledge is received from others. Without… The Vedantists… The Vedantists, they also receive their knowledge from another Vedantist—the so-called Vedantists. Vedantists are… Real Vedantists are the Vaishnavas. And the impersonalist Vedantists, because their knowledge is not perfect. Therefore their knowledge of Vedanta is also imperfect, because they do not know anything about the Supreme Person. This is the version of Vyasadeva. The… Because they neglect the Supreme Person. Anadrita-yushmad-anghrayah. The Vedantists… There are many Vedantists in Vrindavana, but they do not come to see the temple, because they think themselves that they have become Krishna. That is the Vedanta, so-called Vedanta philosophy conclusion. But Bhagavata says that vimukta-maninah. “They are thinking that they have become liberated.” That is their concoction. Maninah. If somebody thinks that “I have become the richest man in the world,” although he has nothing to show… To become richest man, there must be some symptoms. But if a poor man says that “I am the richest man in the world,” so one should test him, whether he has got the complete riches of the world. So simply thinking, concocting, is one thing. And fact is another. Fact is that we are teeny, part and parcel of the Absolute Truth. But we are not actually absolute. We are relative. Relative truth. On the existence of the Absolute Truth, we are existing, but we have no independent existence, neither we have got independent knowledge. We are all dependent. The independent knowledge, Absolute Truth, is Krishna. Om namo bhagavate vasudevaya. That is the beginning of Vedanta-sutra. Therefore, bhejire munayo ‘thagre bhagavantam adhokshajam. Bhagavan, the Supreme Personality of Godhead, beyond the sense perception. This impersonal concept of the Absolute Truth is in negation of the material duality. But that is not absolute knowledge. Absolute knowledge is that when we reach bhagavantam adhokshajam. Sattvam visuddham. His existence is visuddha, not contaminated. Our existence in this material existence, this is not visuddha. This is contaminated by the modes of material nature. But His existence is visuddha. Even Sankaracarya, he says, in his commentary on the Bhagavad-gita: narayanah parah avyaktat. Vyaktavyakta. There are two material features: manifested and nonmanifested. Sankaracarya agrees that Narayana… As soon as he says “Narayana,” he means the person, person, the Supreme Person. Parah avyaktat. He’s transcendental. His person is not the same person, personality as we have got. There, that is… Para means that is adhokshajam, beyond our sense perception. So… And there are so many other evidences. Krishna says that mattah parataram nanyat [Bg. 7.7], “There is no more superior existence than Myself.” Aham sarvasya prabhavah [Bg. 10.8]. “I am the origin.” Janmady asya yatah [SB 1.1.1]. This verse, this code, is explained by Krishna Himself that “I am the origin of everything.” And Arjuna, who understood Krishna, he said, param brahma param dhama pavitram paramam bhavan purusham [Bg. 10.12]. 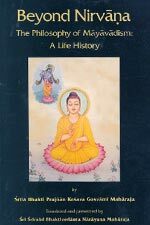 He accepted the Absolute Truth a purusha, a person. So the Absolute cannot be imperson. Imperson is one of the features of the Absolute Truth, but the Absolute Truth, in the original understanding, He is person. As Krishna says, brahmano ‘ham pratishtha. The impersonal Brahman is situated in Him. It is His personal rays, effulgence of His bodily rays. Yasya prabha prabhavato jagad-anda-koti [Bs. 5.40]. He has got His bodily effulgence, just like the sunshine is the effulgence of the sun globe, and the sun globe, within the sun globe there is sun-god, Vivasvan. That is also… We get information from the Bhagavad-gita, the sun, sun planet, is not impersonal, not a lump of matter. There is the predominating Deity in the sun globe, and his name is also given in the Bhagavad-gita-Vivasvan. Vivasvan manave praha. Praha, he explained Bhagavad-gita. Therefore he’s a person. As we get, get this experience that from the sun globe, within the sun globe there is a person, and, due to the effulgence of that personal rays of the sun-god, or the population there, every people being glowing, the whole sun planet is so powerful, glowing, and the glow is distributed all over the universe, similarly, there is a glowing effulgence of the Supreme Person. That is called brahmajyoti. That brahmajyoti is impersonal, but the brahmajyoti is resting on the Personality of Krishna. So ultimate Absolute Truth is Krishna. That is the verdict of all Vedic literature, Vedanta, and Krishna says that vedais ca sarvair aham eva vedyah [Bg. 15.15]. Anyone who has not understood Krishna, he has not studied the Vedic literature very perfectly. Vedanta-vid vedanta-krid ca aham. Krishna says He’s the compiler of Vedanta. So who will know Vedanta better than Krishna? The so-called Vedantists, they are very much proud of their knowledge of Vedanta, but the, the real compiler of the Vedanta philosophy is Vyasadeva. He’s incarnation of Krishna. Therefore Krishna says, vedanta-krid vedanta-vit. He is the compiler of the Vedanta-sutra and He knows what is Vedanta-sutra, not the so-called Mayavadi philosophers. So we have to learn Vedanta-sutra from Krishna, not from others. Not from others. We are not going to be befooled. We know what is Vedanta-sutra. Vedanta-sutra points out that here is the person, Supreme Person, Krishna. Isvarah paramah krishnah. Brahma says, isvarah paramah krishnah sac-cid-ananda-vigrahah [Bs. 5.1]. Krishna Himself says, aham sarvasya prabhavah [Bg. 10.8]. He is the origin. Because the Absolute Truth is the origin of everything, the Krishna is the origin of everything. Aham sarvasya prabhavah. He’s the origin of even Narayana. He’s the origin of Brahma. He’s origin of Lord Siva. He’s origin of the Brahman effulgence. He’s origin of Paramatma. Isvarah sarva-bhutanam hrid-dese arjuna tishthati [Bg. 18.61]. So… But the origin from Paramatma is another expansion of Krishna. That is also explained: ete camsa-kalah pumsah krishnas tu bhagavan svayam [SB 1.3.28]. Our, this philosophy, Krishna consciousness, we are pointing out the Supreme Person. 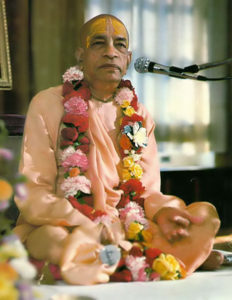 Krishnas tu bhagavan svayam. Everyone is searching after God; we are delivering. Krishna is delivering Himself. That is His kindness. That is His mercy. And Lord Caitanya is delivering Krishna. Krishna-prema-pradaya te [Cc. Madhya 19.53]. Not only Krishna, He’s giving love of Krishna. So the Krishna consciousness people, they should not be misled by so-called Vedantists or impersonalists, or voidists. They should stick to the principle, as it is described in the Bhagavad-gita. Therefore we present Bhagavad-gita as it is.